Whether searching for a sun lounger or an indigenous tribe, you will find it in this super-sized archipelago. With over 17,000 islands spanning more than 5,000 kilometres populated by nearly 250 million people speaking 500 languages, Indonesia has enough travel experiences to keep the curious visitor busy for decades. Due to the unusually dramatic geology that created these islands, Indonesia can offer beach flopping, volcano climbing, wildlife spotting and temple touring in the space of a single day. Hedonists will delight in the party vibe of the major resorts, but equally there is ample opportunity for the intrepid to test their mettle in some of the farthest flung corners of civilisation. This vast and enthralling country has something for everyone, and our trusted local experts can show you the best of it! There are many wonderful experiences to be had on this vast archipelago. For further inspiration take a look at the trip ideas put together by our trusted local experts at the foot of this page, but in the meantime here are our top three things to do in Indonesia. 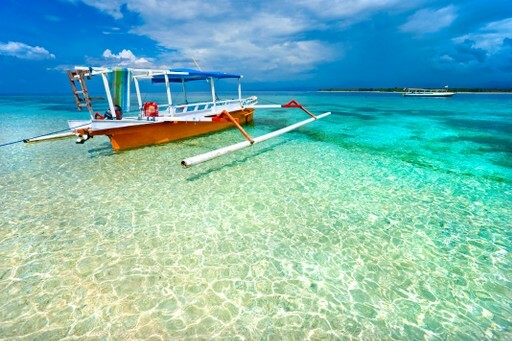 The three specks of tropical perfection known as the Gili Islands tempt travellers to the pristine shores off the northern coast of Lombok. The snorkelling and diving opportunities are spectacular with rich marine biodiversity and great visibility year round. If you like beach relaxing followed a bit of lively nightlife - be that in bars or bustling restaurants - then Gili Trawangan is the island for you. For relaxation, head to Gili Meno and Gili Air, where deserted beaches are the order of the day and there's a ban on late partying. Tucked in between the islands of Flores and Sumbawa is Komodo Island. 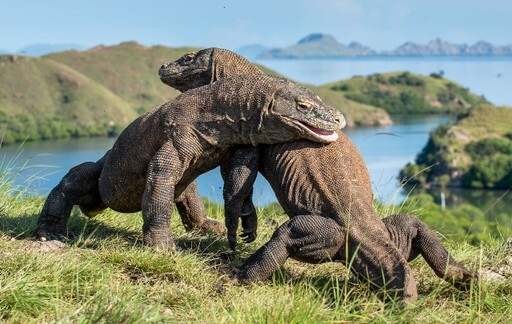 Komodo dragons are the world's largest lizard and are perhaps the most famous attraction of the islands. They can grow up to three metres long and will happily take on a large wild pig - and win. They aren't the only attraction of the island - the snorkelling opportunities are also a huge draw, and Pink Beach is one of only seven beaches in the world with special blush coloured sands. 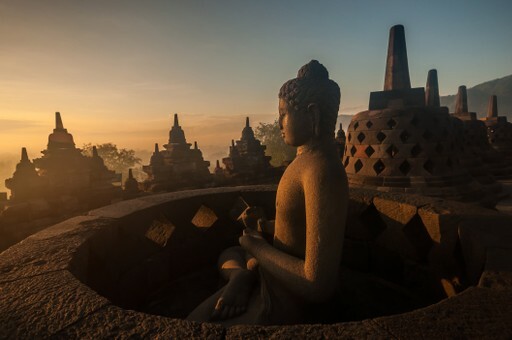 Easily accessible from the Javanese cultural hotspot of Yogyakarta (Yogya for short) is the evocative temple complex of Borobudur, which transports you back in time to the ninth century when it was constructed. Made up of three intricately carved temples - Borobudur, Pawon and Mendut - the complex was recognised as a UNESCO World Heritage Site in 1991. There are other Buddhist and Hindu temples scattered around the main three, providing ample exploration for a cultural day out on your trip to Indonesia. When should I visit Indonesia? Strung along the equatorial region, the islands of Indonesia enjoy a pretty consistent level of heat and humidity all year round. Theoretically the wetter season runs from November to April, with rainfall highest in January, but the tropical climate can deliver downpours at more or less any time of year. It is worth factoring Ramadan (when much of the country will be affected by closures) and Christmas (higher prices and lower availability) into your holiday plans. 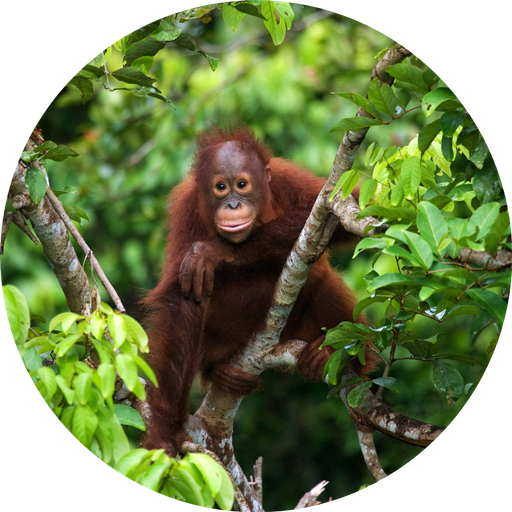 Create your bespoke holiday to Indonesia!